Our well experienced accountants work with you and help you manage and grow your business. We simplify reports and snapshots to allow business owners and managers read and understand their accounting information to stay on top of the business with minimal time. When you use OnTrack Accounting Services, you’ll receive a professional, reliable, all-inclusive suite of financial services designed to benefit your business. And best of all, when you outsource OnTrack Accounting Services you’ll enjoy the expertise and support of a personable, full-service company, not just a single employee! 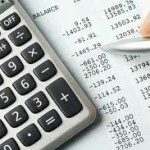 Our monthly accounting services are customized just for small business owners, backed with a full understanding of your special needs, issues and deadlines. Each month when we come by your business to review your results, you’ll receive a complete financial statement package. We monitor your income for tax planning. We don’t want you to be surprised at year end with an unexpected tax situation! Government reporting ? Receive a government notice? We help there too. Send it to us and we’ll evaluate problem and send a response. Our office is open year round, so if you have any questions or need help answering a query from the Canada Revenue Agency we are here to help.